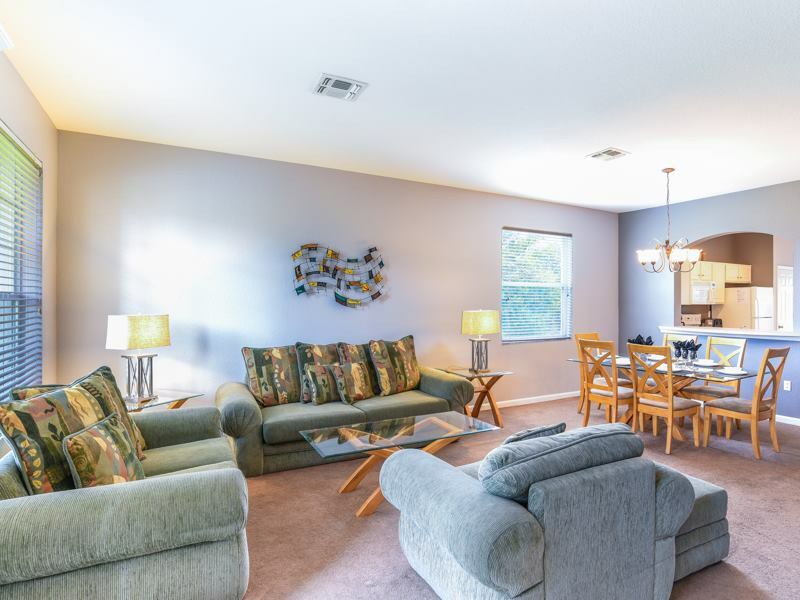 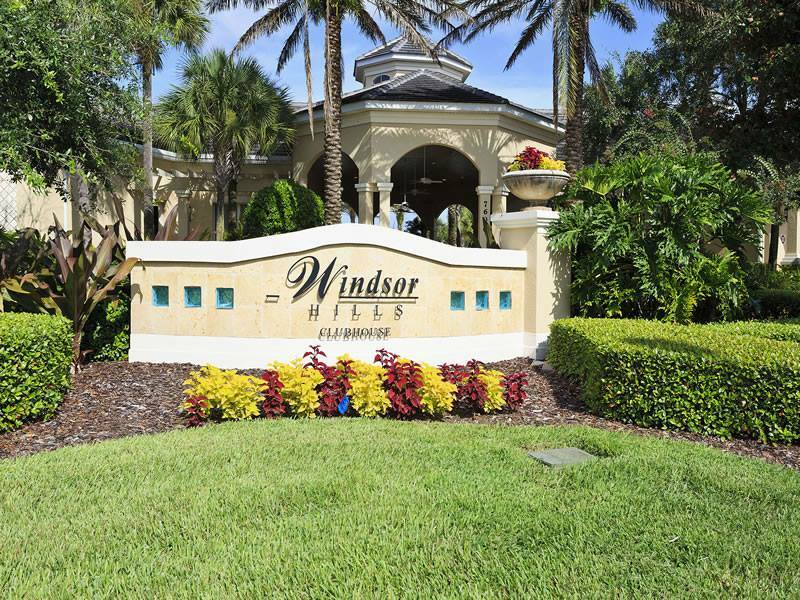 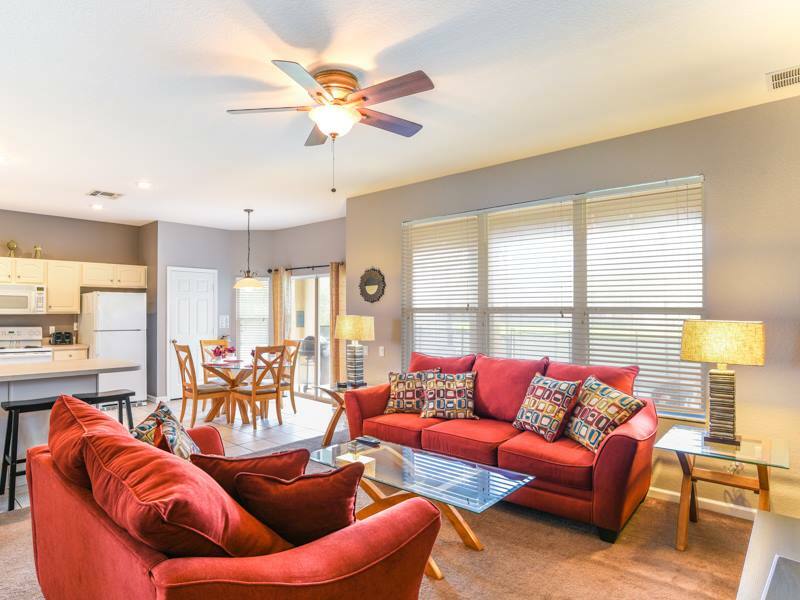 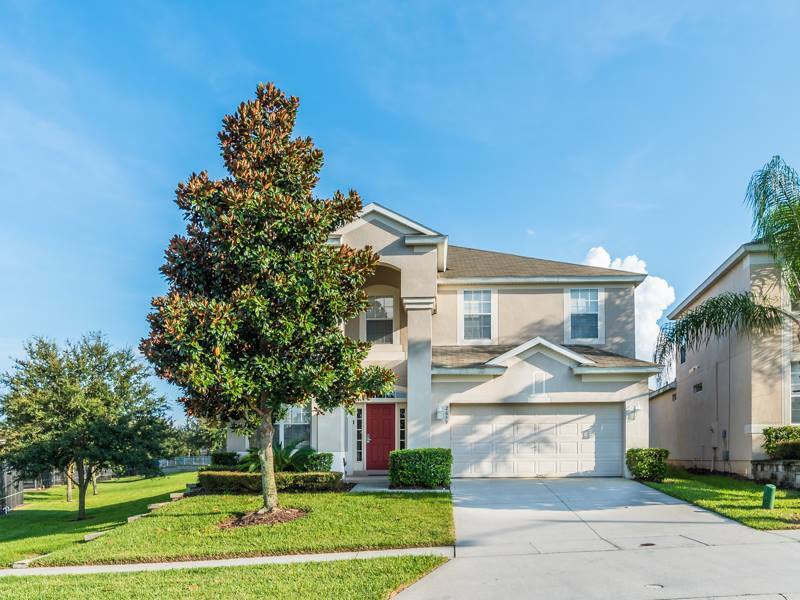 You need to see for yourself why guests rate Windsor Hills a 4.5 out of 5 on TripAdvisor… the closest Orlando vacation home resort to Walt Disney World (1.5mi or 2.4km)! 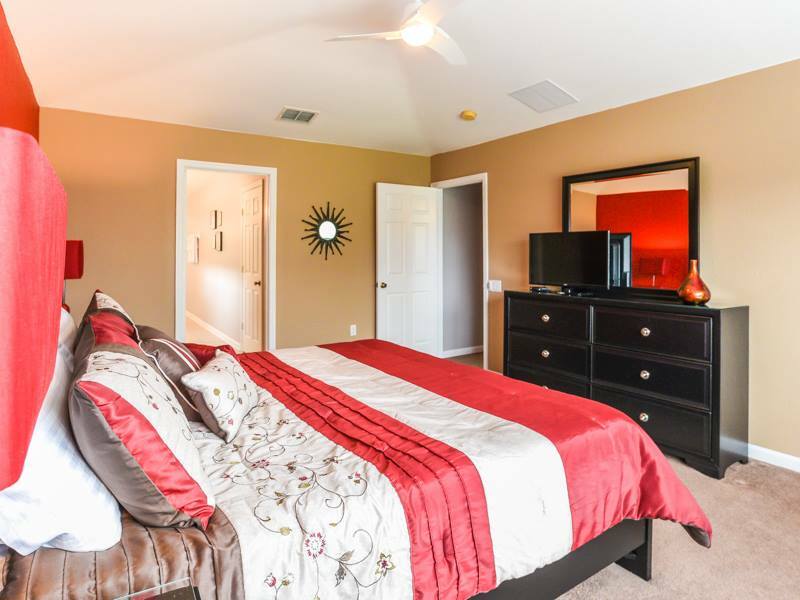 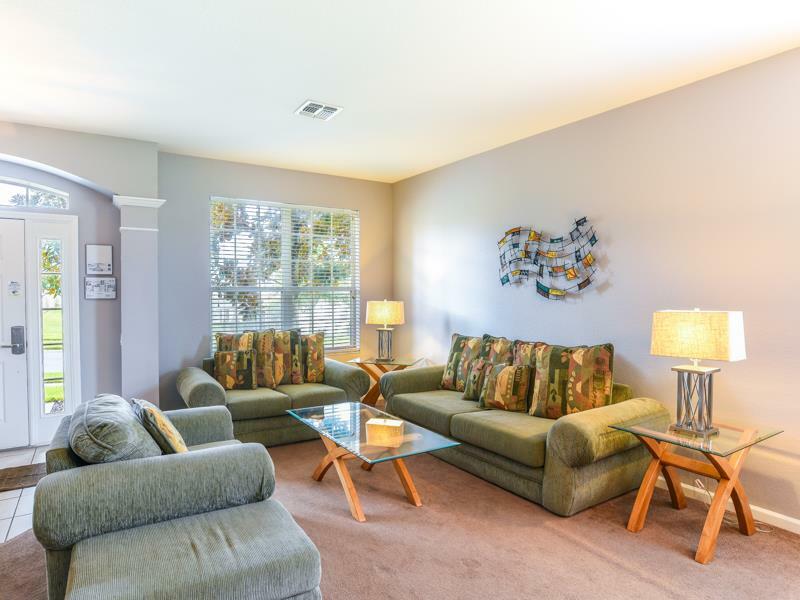 This fully remodeled 6 bedroom, 4 bathroom, 2,812 sq. 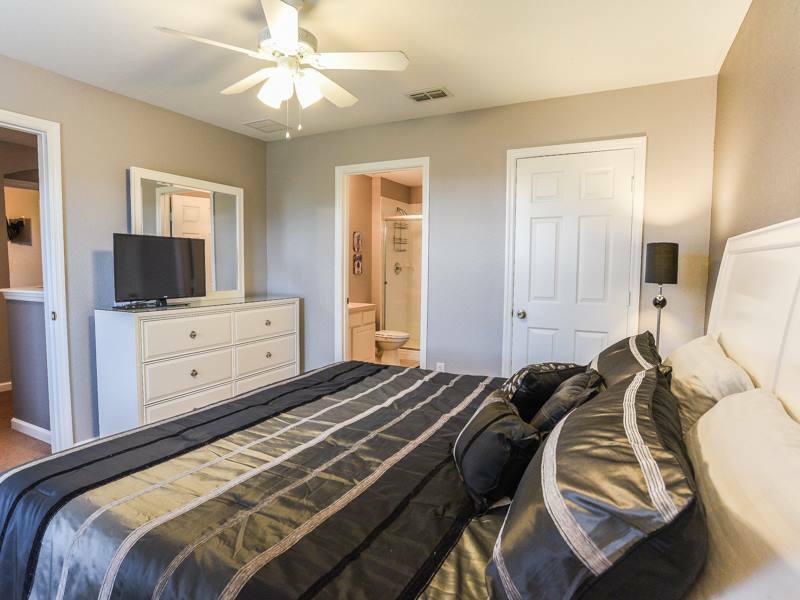 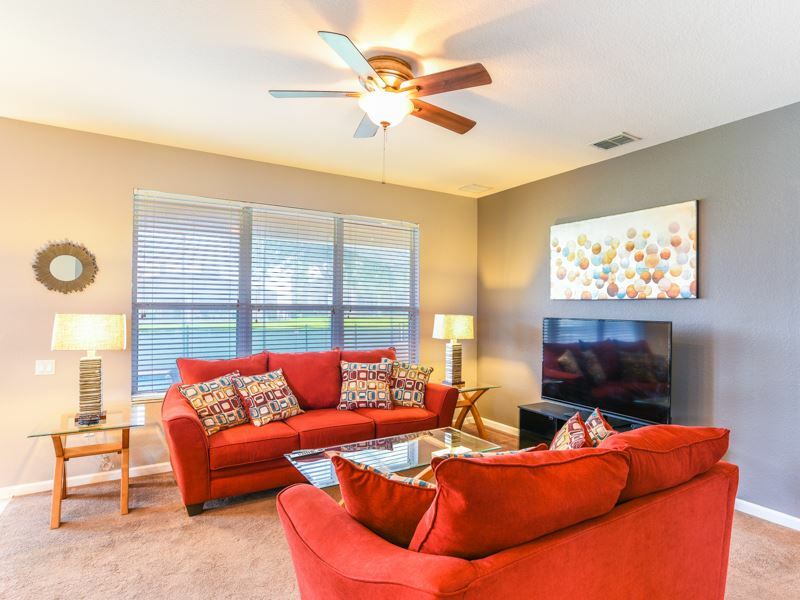 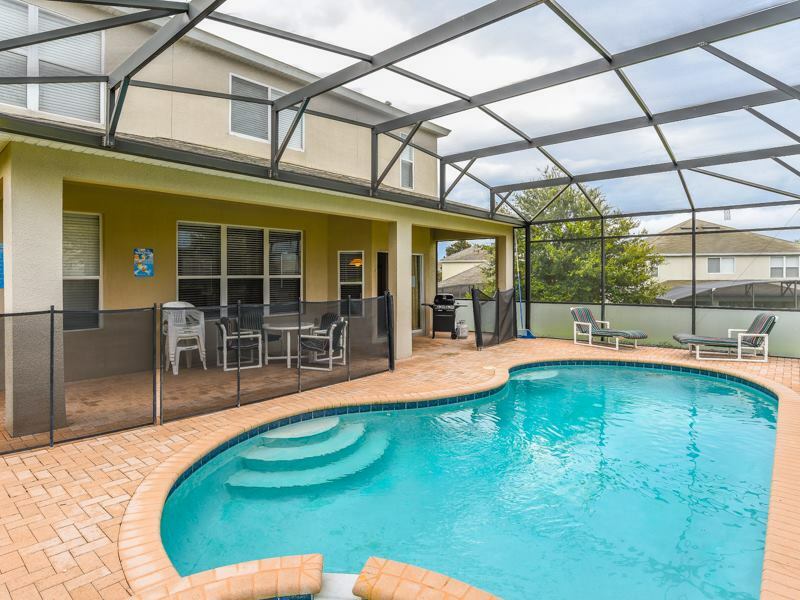 foot executive pool home sleeps up to 14 guests and features unparalleled attention to detail from theme rooms to a huge 60” flat screen TV and USB chargers in every bedroom to ensure you have every comfort and convenience of home. 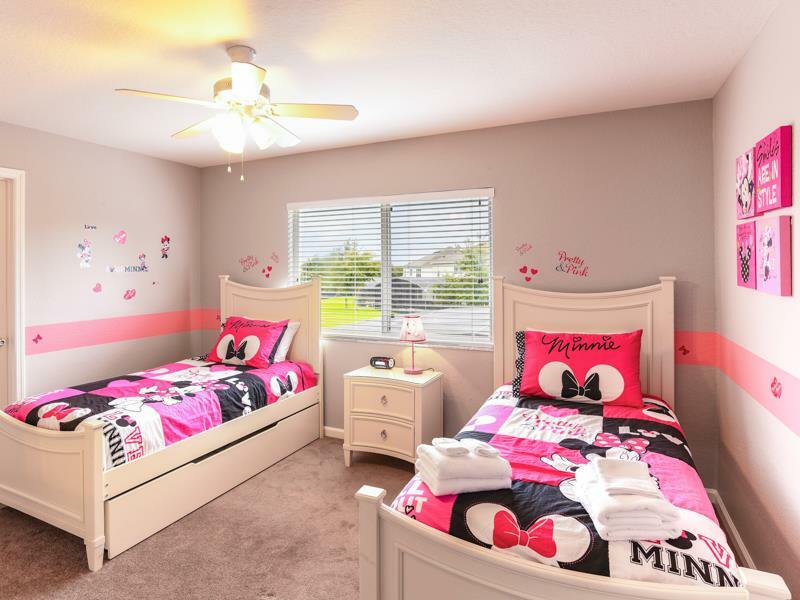 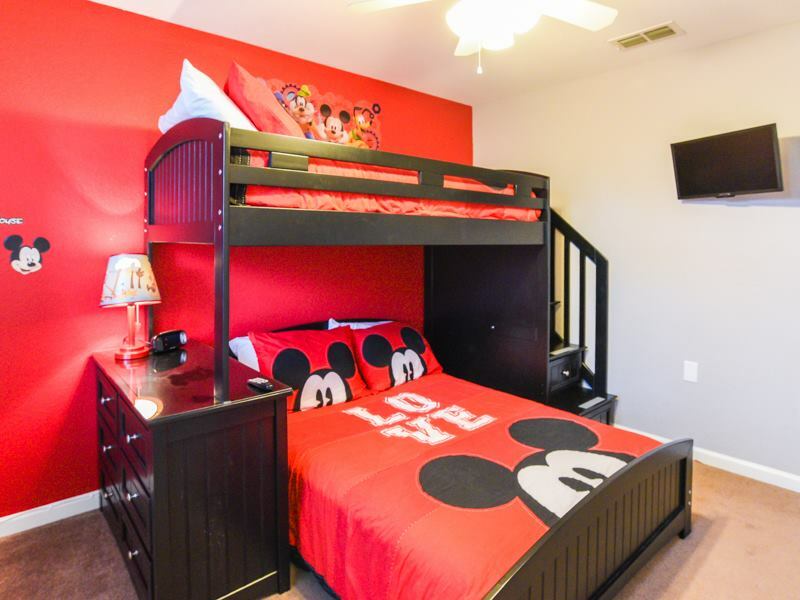 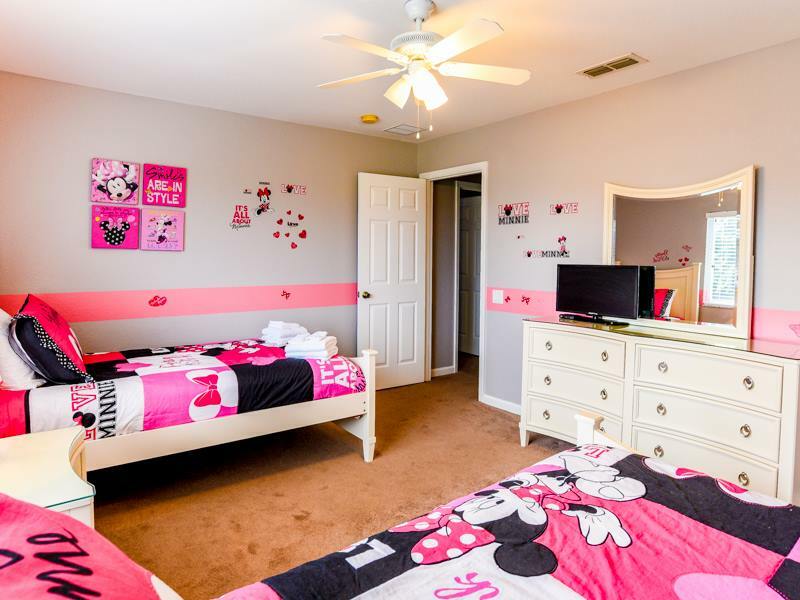 This home is designed for kids to have a blast… up to 3 kids can have a sleep over in the Mickey room while up to another 3 kids can enjoy the Minnie room… so no-one is left out. 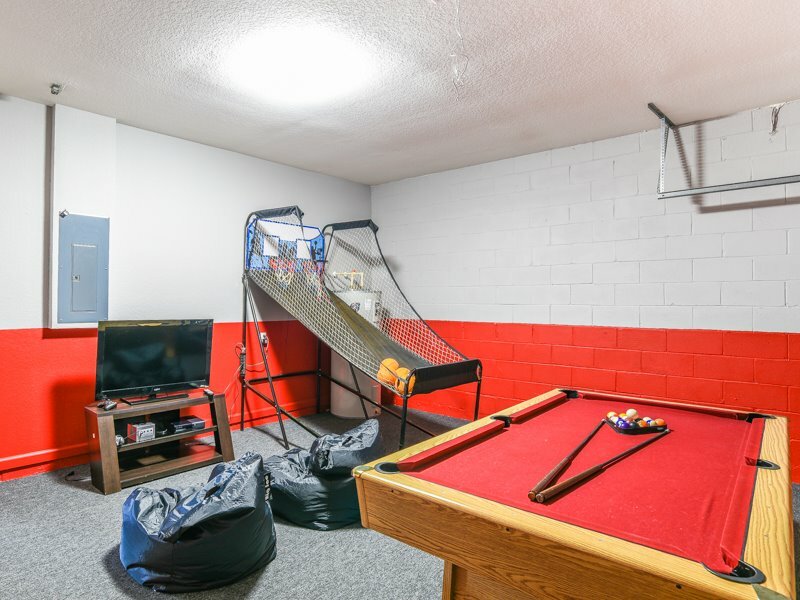 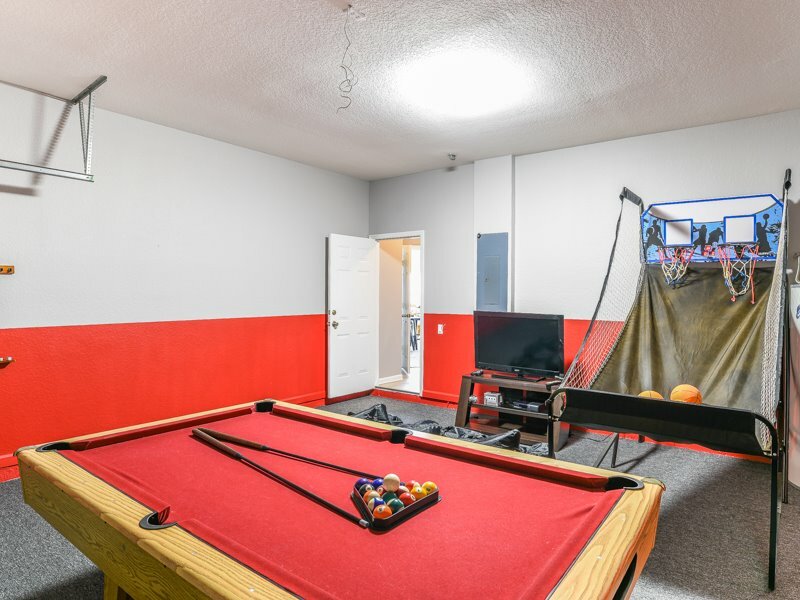 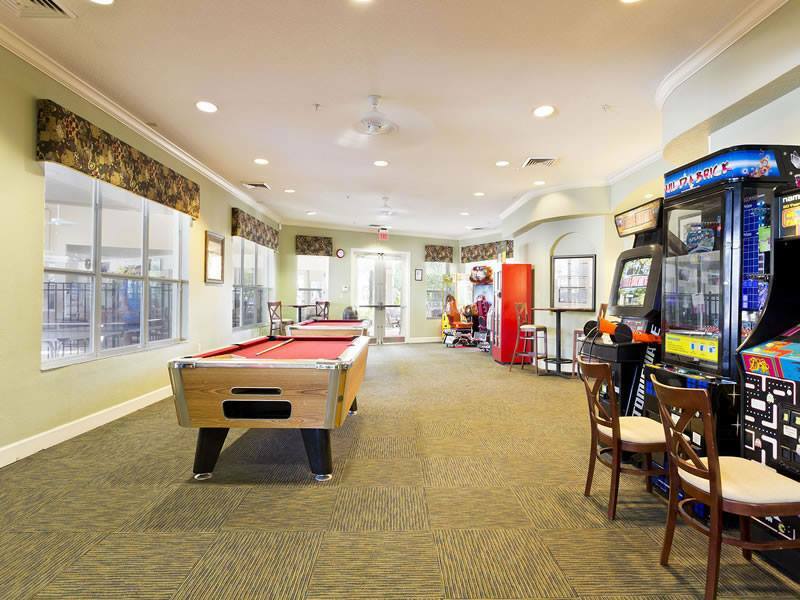 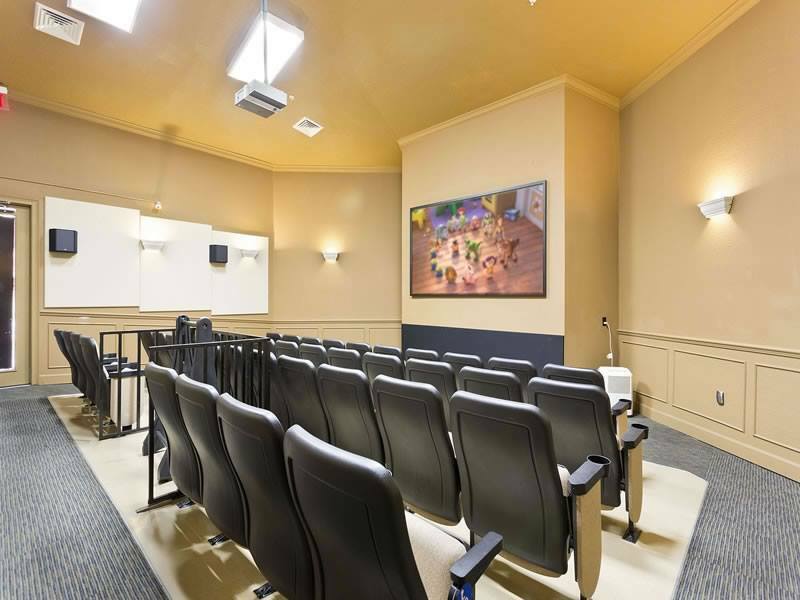 The games room features TV, Xbox, electronic arcade basketball game and a full size pool table that will be sure to entertain everyone while others enjoy some well-deserved downtime. 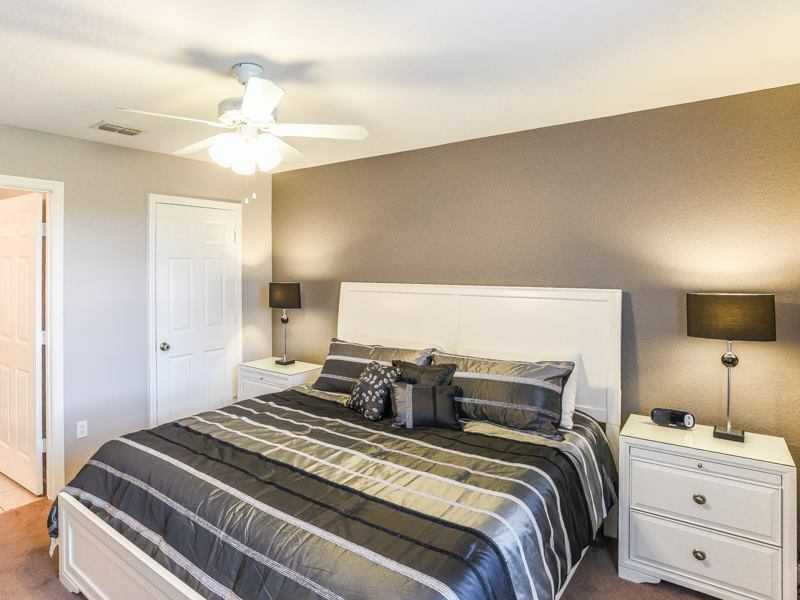 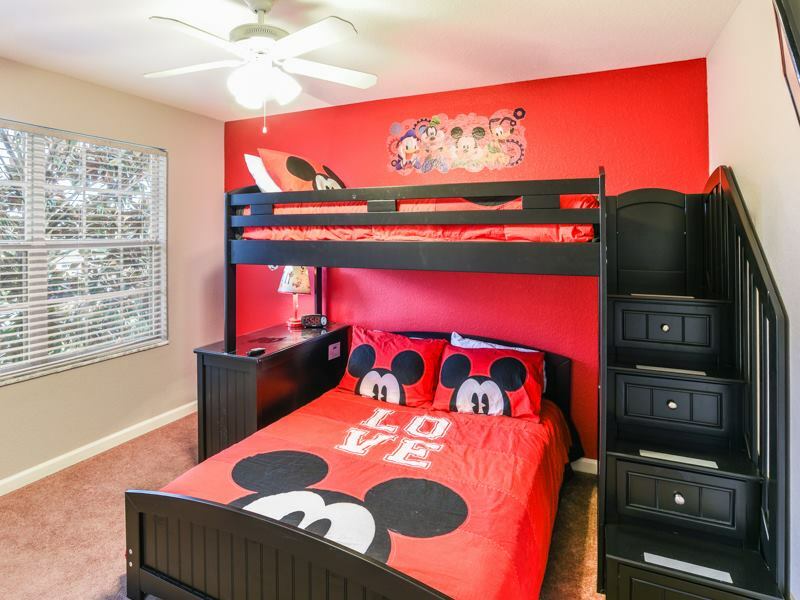 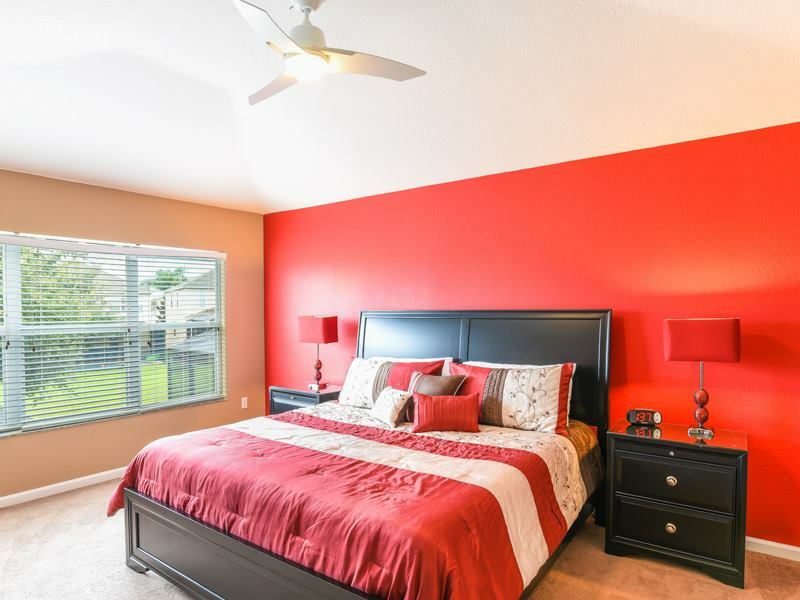 Lots of space for everyone with 2 king bedrooms, 2 queen bedrooms, Mickey theme room with bunk bed featuring larger full bottom bunk, Minnie theme room with 2 twin beds + trundle bed and a pull out sofa bed. 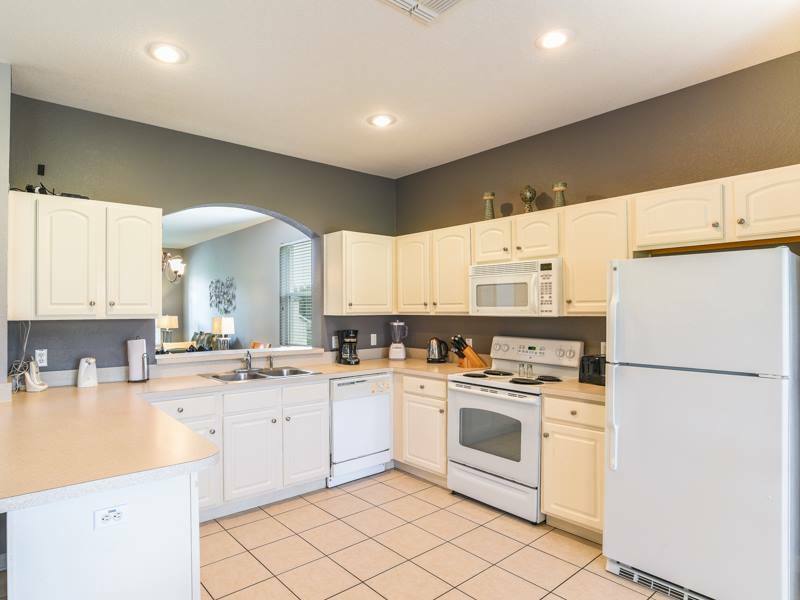 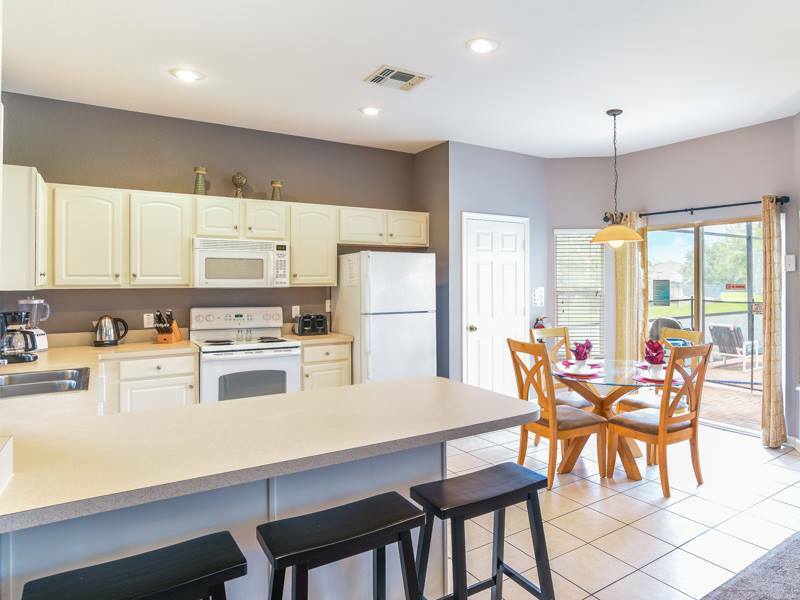 You’ll enjoy the convenience of brewing morning coffee, toasting a quick lunch, scooping an afternoon ice-cream, cutting a few pizza slices or much more with a spacious fully equipped kitchen. 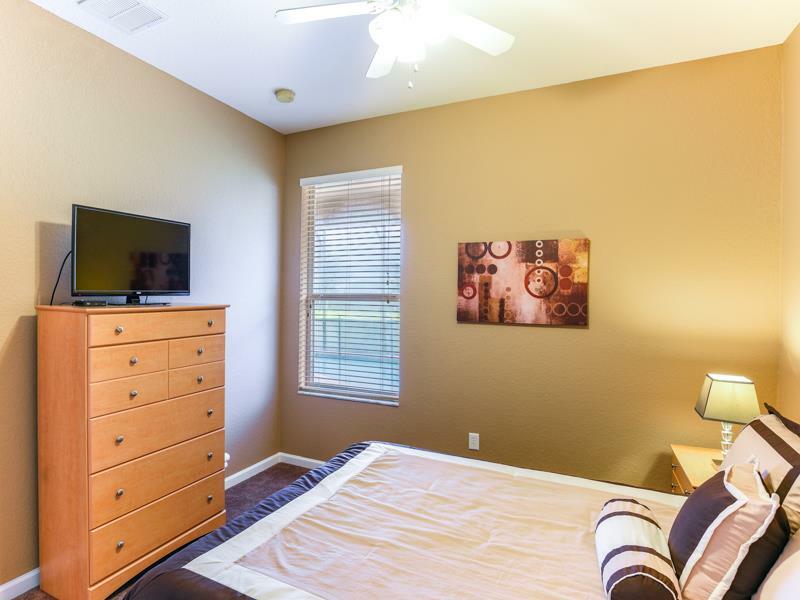 The home also features full size washer and dryer so you don’t have to pack your entire wardrobe. 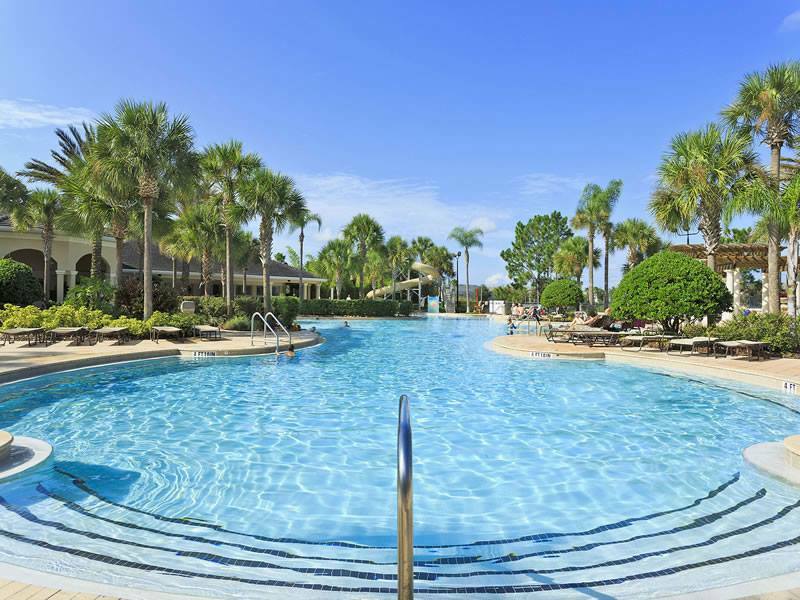 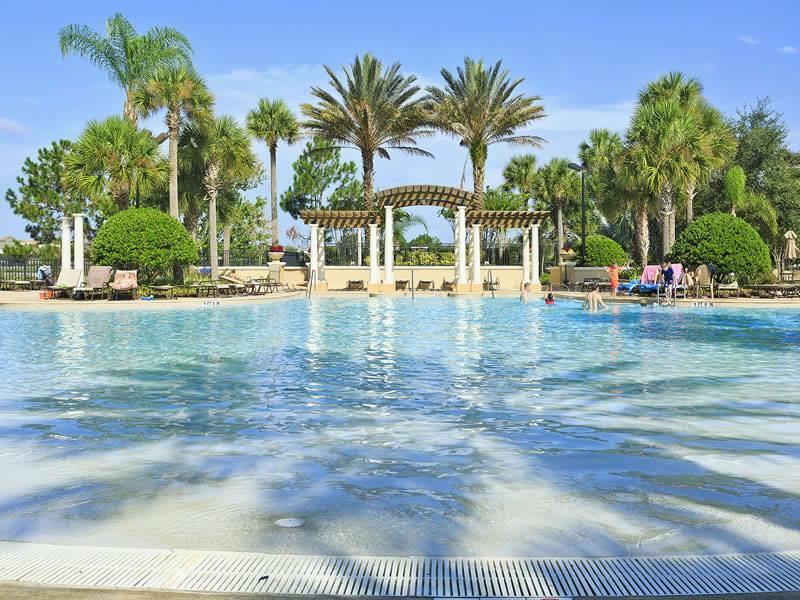 Explore everything the resort has to offer… swim in the 140,000 gallon lagoon style clear blue pool, relax in the hot tub or play a round of poolside ping pong. 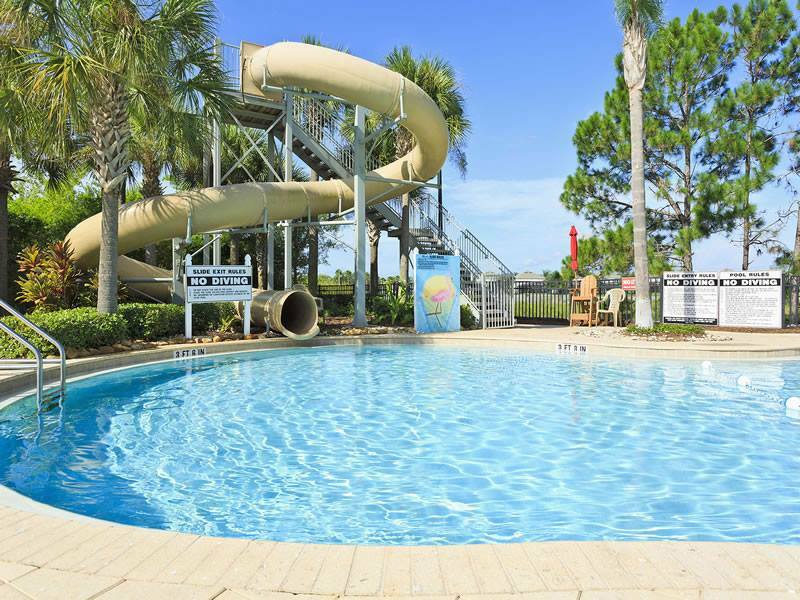 Young adults love the 80 foot winding water slide and children love to dance in the children’s fountain. 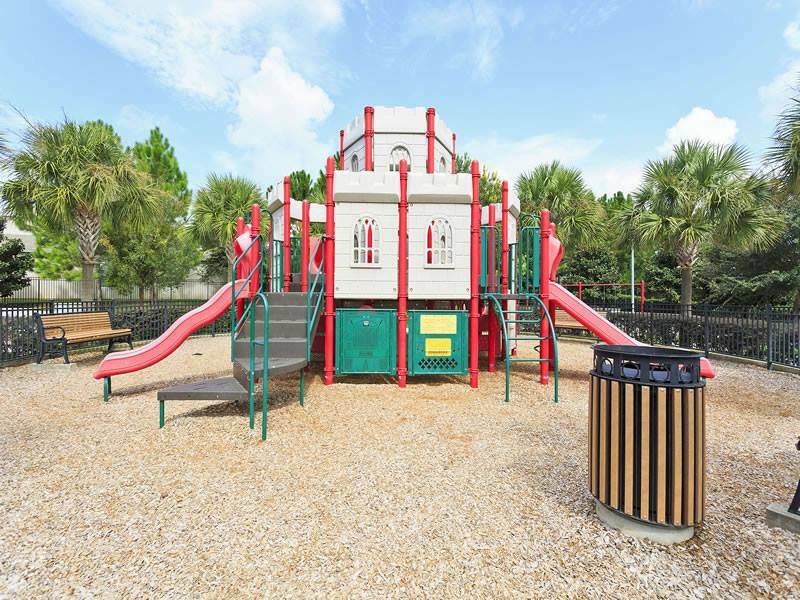 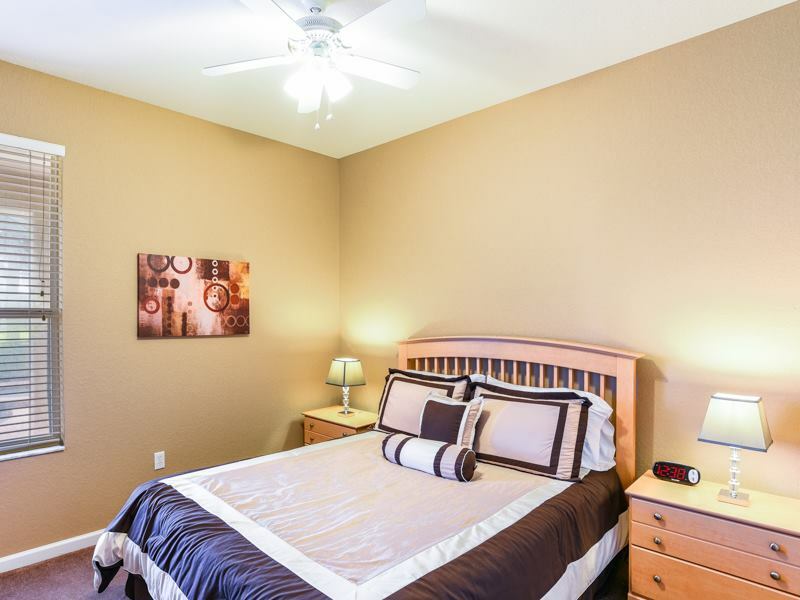 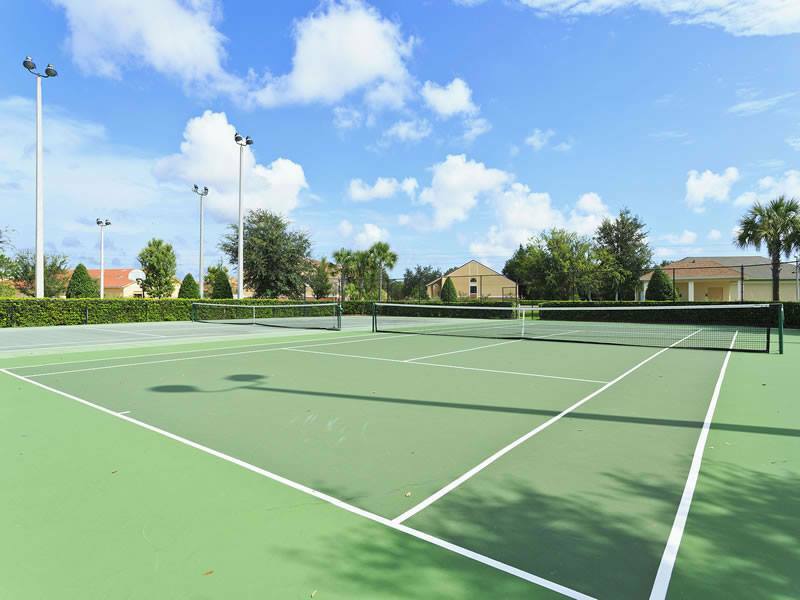 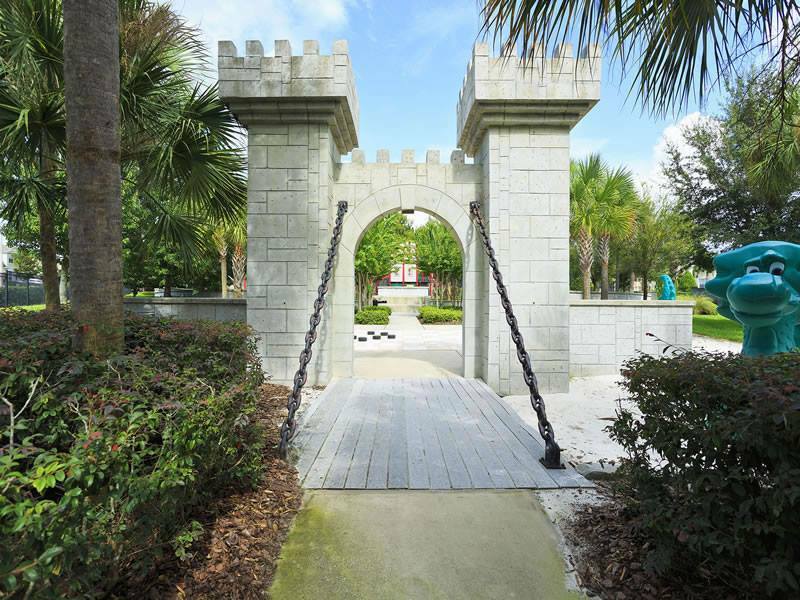 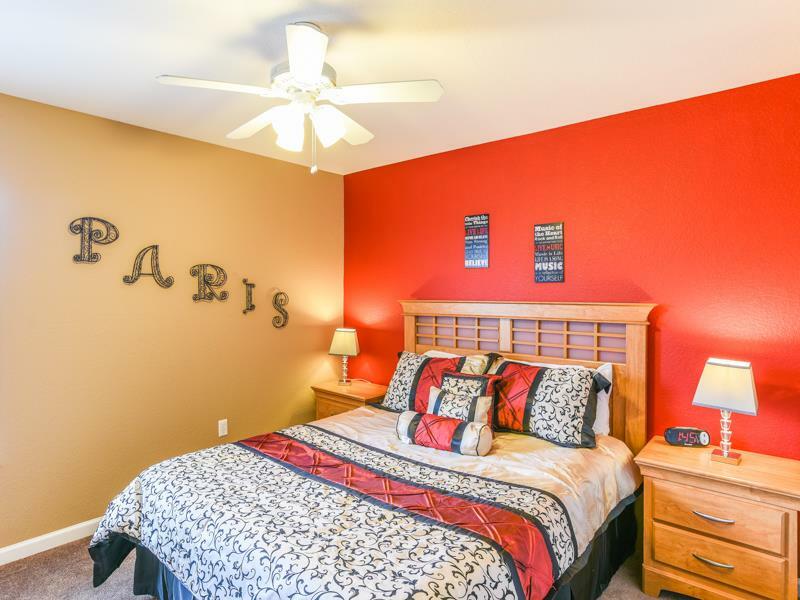 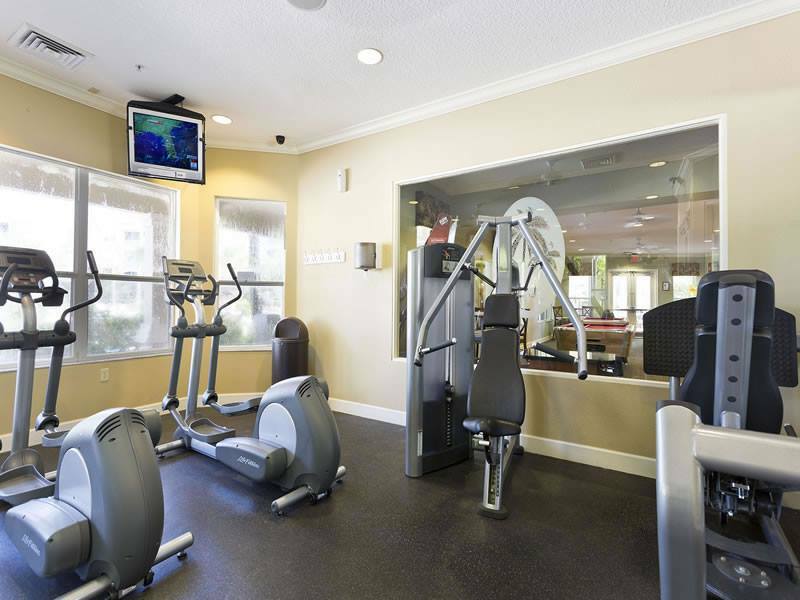 With everything from playgrounds, tennis, basketball, movie theater, fitness center and so much more, you don’t need to go far to get the most out of your vacation. 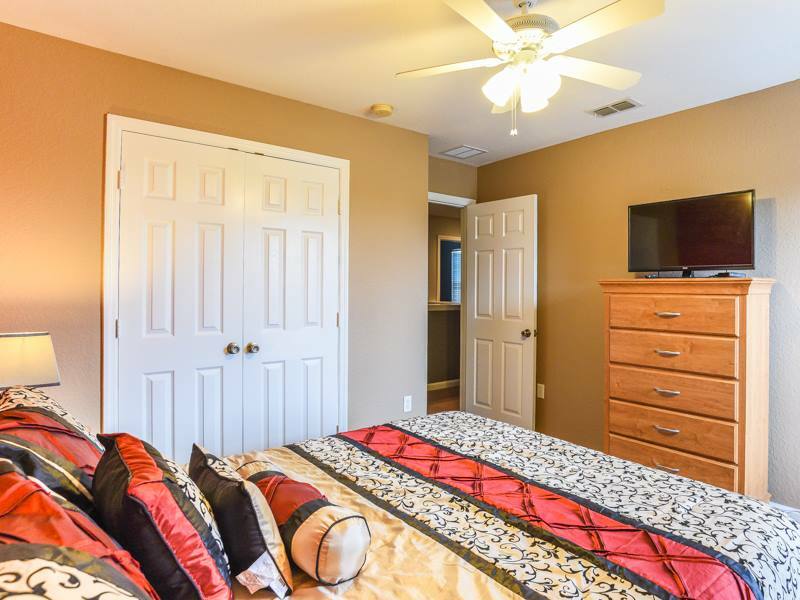 We welcome you to visit our house… our promise is that we’ll do everything we can to help ensure you make memories that last a lifetime… so you can call us 24/7 if you have any questions during your stay!